When do I use "Save Draft"? -You can access it on the Calendar or the My Schedule Page. In the Calendar, drafts are highlighted as a orange coloured event, and completed events are highlighted in blue (see below). How to re-enter information into a Draft? 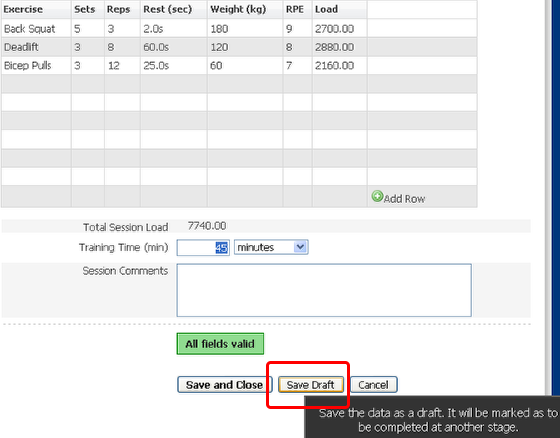 To enter your actual session information into an event that has been saved as a draft, simply click on the name of the event (blue link) and in the example above you click on "Strength Monitor". The Event will then open for you to enter your information in.